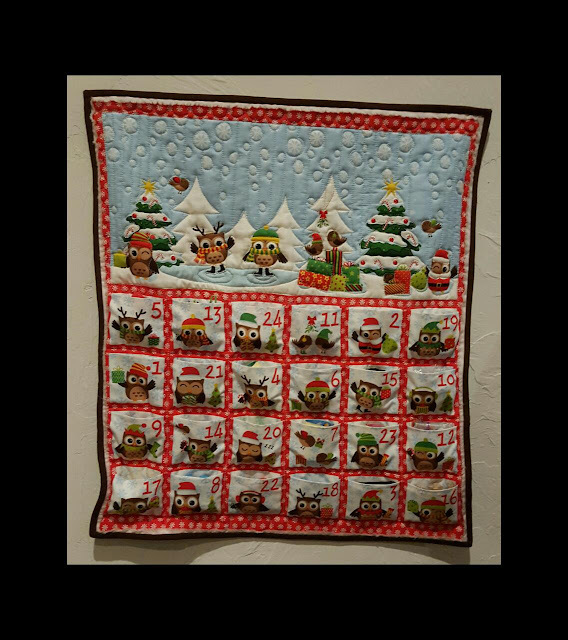 The holiday season always brings out some fun projects for everyone and our guild members are no different. 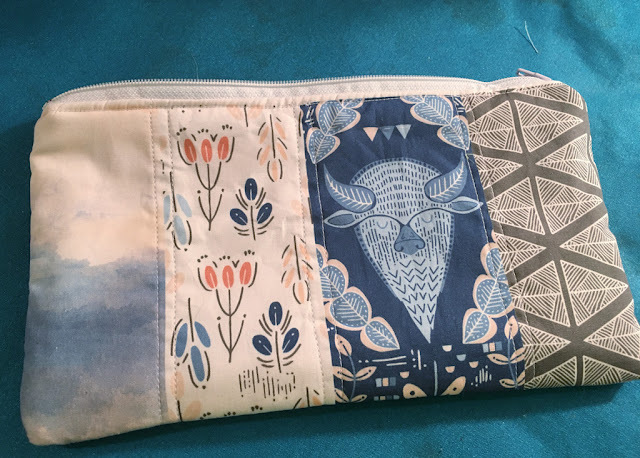 With our own Christmas gift swap and of course celebrations with family and friends before us there is no shortage of handmade gifts to work on, and I am so thrilled that several of our guild members chose to share their makes this month. I invite you to link up your November Finishes at the bottom of this post. We always enjoy seeing what you're up to. but she also made an oversized Sew Together Bag for the guild Christmas gift swap. She says, "You really can fit ALL of your notions in there!" What a fun idea!!! Ann S. has also been quite busy (and is cranking out drawstring bags like nobody's business!). She travelled back to her hometown of Philly bearing gifts for friends. To my host and best friend from high school, her thank you and birthday gift. 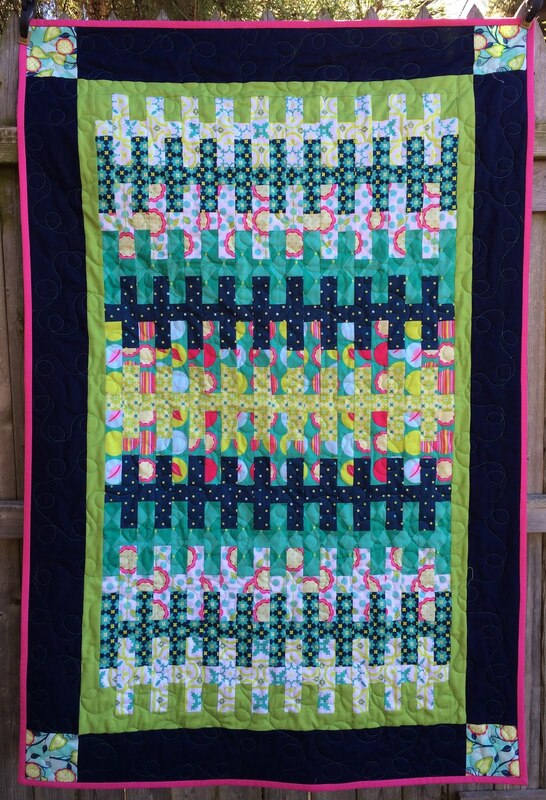 Garden Gate quilt. I think M’Liss Rae Hawley designed it. 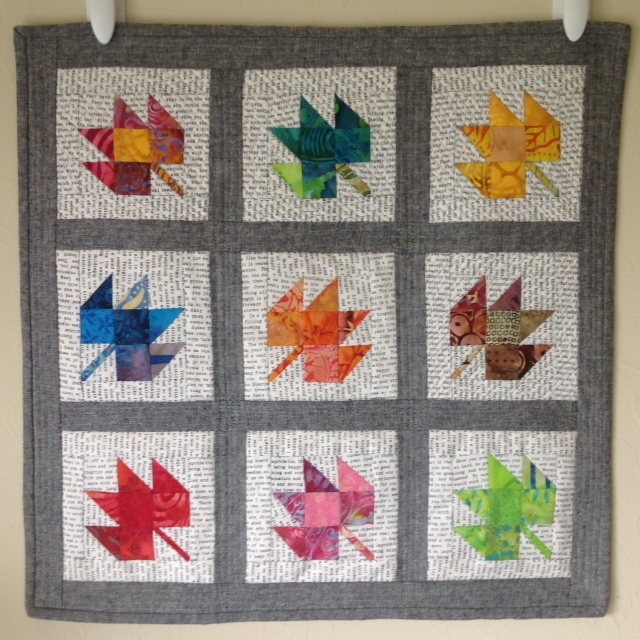 I made my first one at my first quilt camp in 2011. It’s seven FQs and some yardage. Quilted by Trish Maxwell. I was also visiting friends who, within the past year, adopted five siblings from Latvia, ages four to 14. 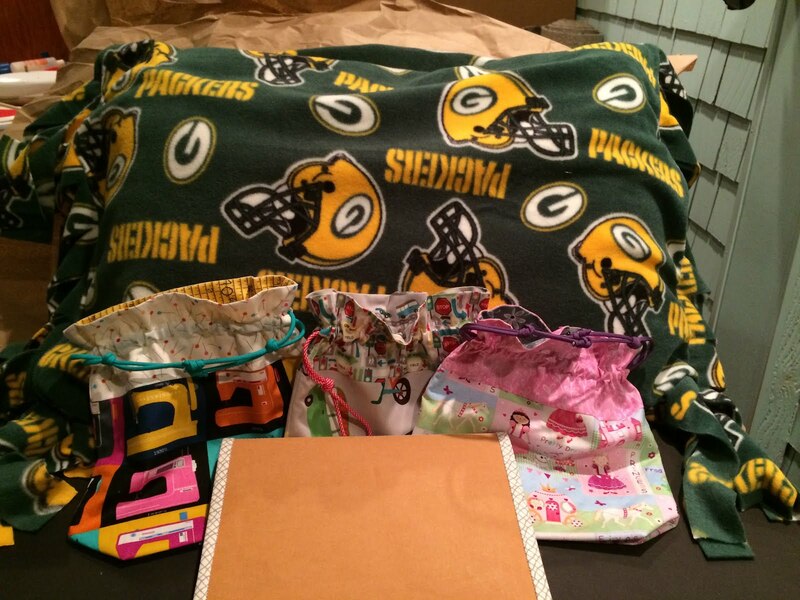 I asked the dad their interests and there was a Green Bay Packers fan; a seamstress; a budding artist; a princess; and a lover of cars and trucks. 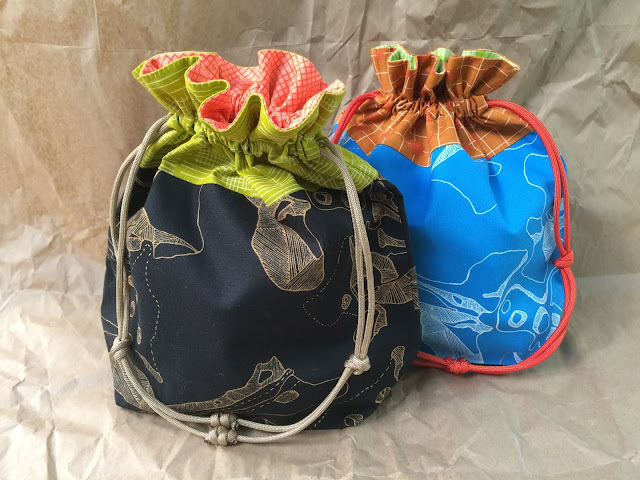 The primary gifts were lined drawstring bags (from In Color Order blog) with my own paracord tie twists. 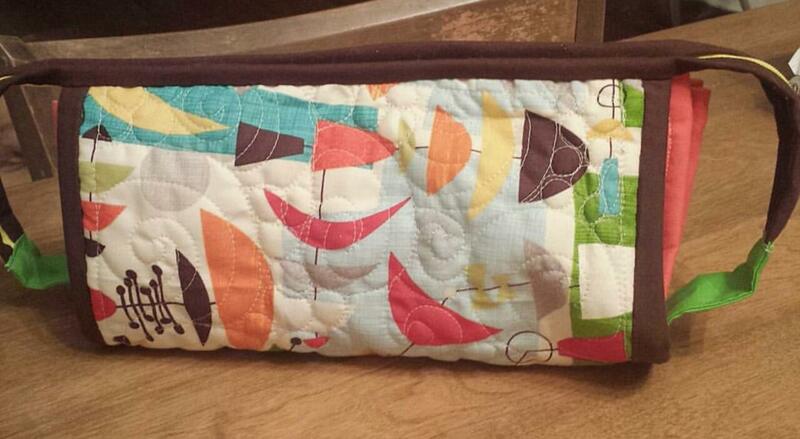 Also made a paper pad/pencil holding folio (note to self—expandable slots for pens next time) and a fleece pillow sham. And... for Christmas swap at the guild meeting? — you guessed it! 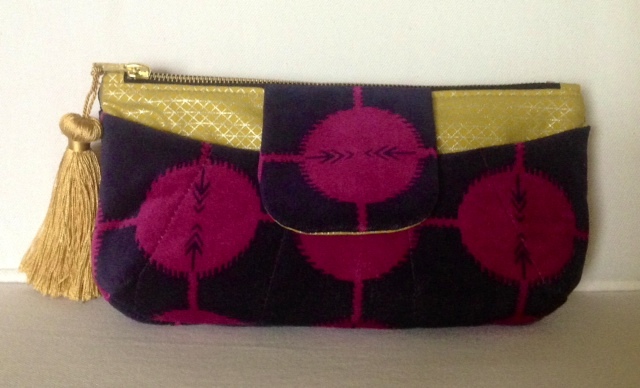 This year, as with last, I made my gift from my newest-not-yet-in-stores Carolyn Friedlander fabric line. This year, it’s Carkai. 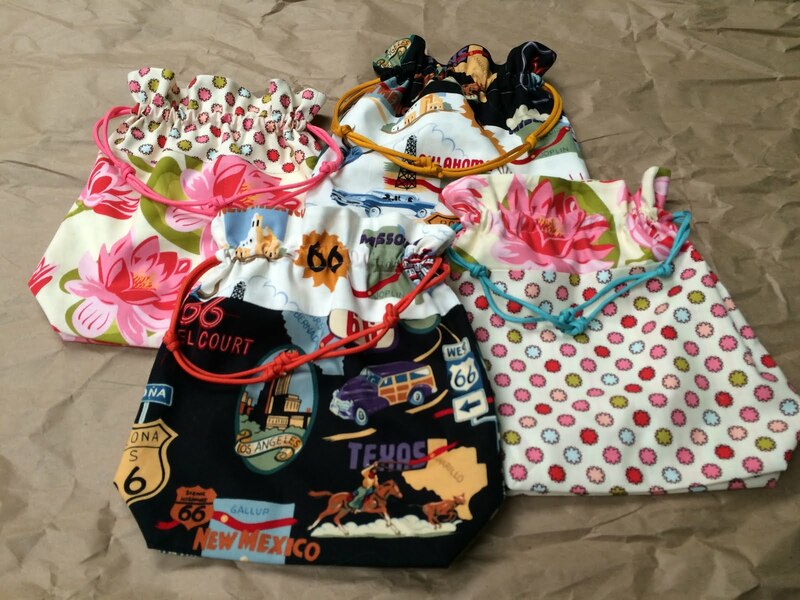 Ann S. is a drawstring bag making machine! Not to be outdone, Ann W. brought some beauties for the Guild Gift Exchange this year. 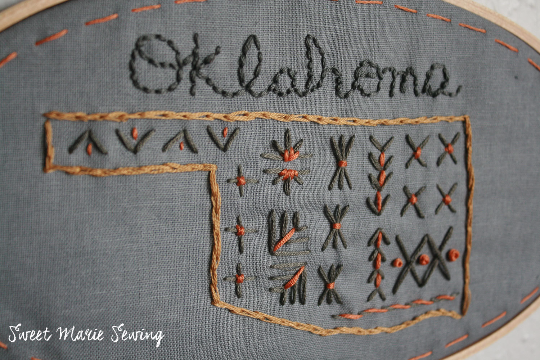 They are so very Oklahoma and we LOVE that about them. 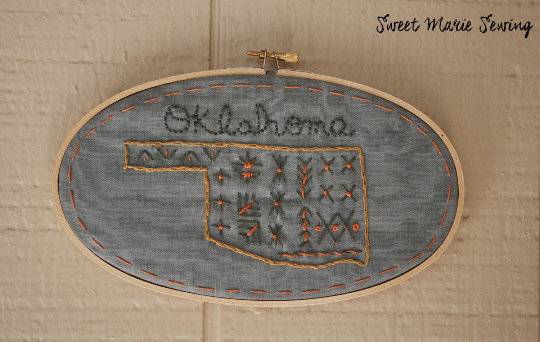 You can find out more details about her items on her blog Sweet Marie's Sewing Room. I have a mini quilt that continues my quest to marry batiks and modern fabrics ( this time the newsprint by Allison Glass and Essex linen). The blocks are 5x5 inches. And for the gift exchange Agnes made a variation on the Rainbow Clutch ( from Anna Graham's "Handmade Style") that I prepared for the Guild's Christmas gift exchange. Classy in Anna Maria Horner velveteen and Alexia Abegg's sparkly fabric. 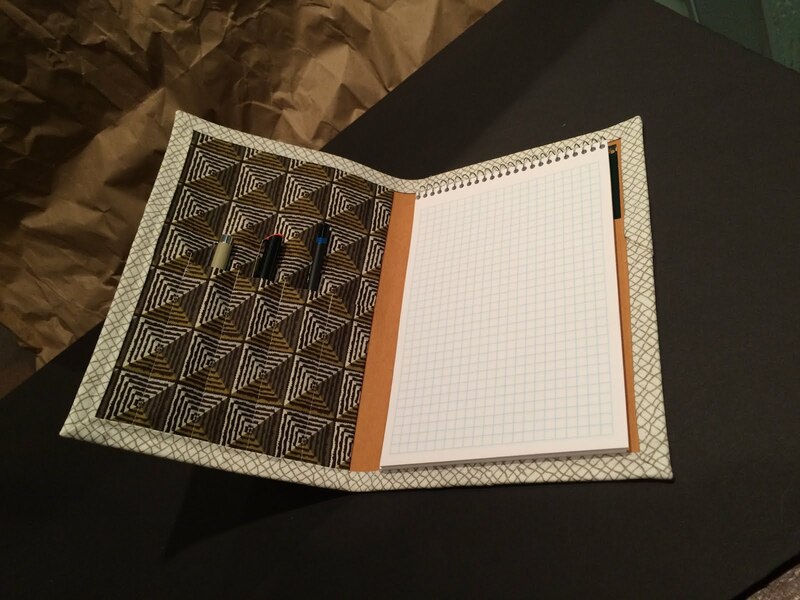 What a sophisticated take on that pattern! Here is my quilt I finished in November. It is a quilt I made in honor of my dad who served in WWII. My nephew is going to give me a patch from my Dad's uniform that he had so I can sew it on the back with the label. Oh my...doesn't that just melt your heart?! What a fabulous tribute to your father Dee Dee!!! And now we hope you'll share with your November finishes with us!